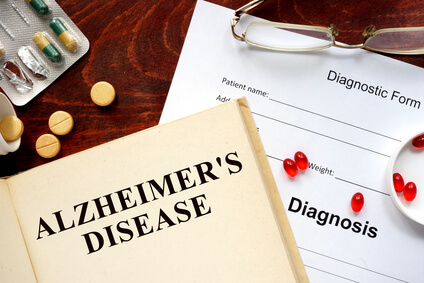 The law firm of Zoll & Kranz, LLC filed a motion seeking to amend the original complaint on behalf of 34 new Plaintiffs alleging they were wrongly diagnosed with Alzheimer’s disease or another form of dementia. This brings the total number of victims of the Toledo Clinic to 42. On December 19, 2016, the Amended Complaint was filed in the Court of Common Pleas for Lucas County, Ohio under the Case Number: G-4801-CI-0201603674-000. This lawsuit now includes a total of 37 patients of Sherry-Ann Jenkins and the Toledo Clinic Cognitive Center, as well as spouses. According to the complaint, Sherry Ann Jenkins ordered medical imaging tests under her husband’s, Oliver Jenkins, MD., even though he never treated the Plaintiffs on this matter. A total of 8 patients have cases filed before other Lucas County Judges, bringing the total number of patient claimants to 42. Other allegations that are made mention the fact that Sherry Ann Jenkins is not qualified to read the scans and provide such diagnoses as she is not licensed to practice medicine or psychology, either in the State of Ohio or anywhere else. The complaint states that a group of Toledo Clinic Radiologists told the Toledo Clinic Board of Directors that Sherry-Ann Jenkins was “diagnosing everyone with Alzheimer’s disease.” It further alleges that a group of Toledo Clinic Neurologists also complained to the Board of Directors about Jenkins’ “incompetence, malfeasance, and misfeasance.” It is alleged that the Toledo Clinic was made aware of this information by October 2015 and actions remained dormant until a predated letter was issued closing the Toledo Cognitive Center and refunded money starting in February 2016. To date, Toledo Clinic and Sherry Ann Jenkins have not informed patients of the misdiagnoses or lack of credentials. According to the complaint, the majority of the plaintiffs found through other professional opinions that the diagnosis made by Sherry-Ann Jenkins is not accurate and has caused extreme turmoil in their lives along with their families. Sadly one of the Plaintiff’s spouses committed suicide after receiving the devastating diagnosis of Alzheimer’s Disease from Jenkins. The autopsy report showed that the decedent’s brain was normal. The Zoll & Kranz, LLC attorneys continue to advocate for these victims and welcome anyone to call our investigatory team for further information. They can be reached by calling 419-841-9623 or the www.toledolaw.com website form.